Full stave Prime Oak plinths are an ideal touch for finishing kitchens that feature our full stave Prime Oak worktops, and are perfect for complementing our oak cabinets and any other natural materials in the kitchen. Our full stave plinths come in a 3000mm x 150mm x 20mm size, and are supplied fully sanded without any finish, which allows you to apply a treatment of your choice once you have received your plinths. 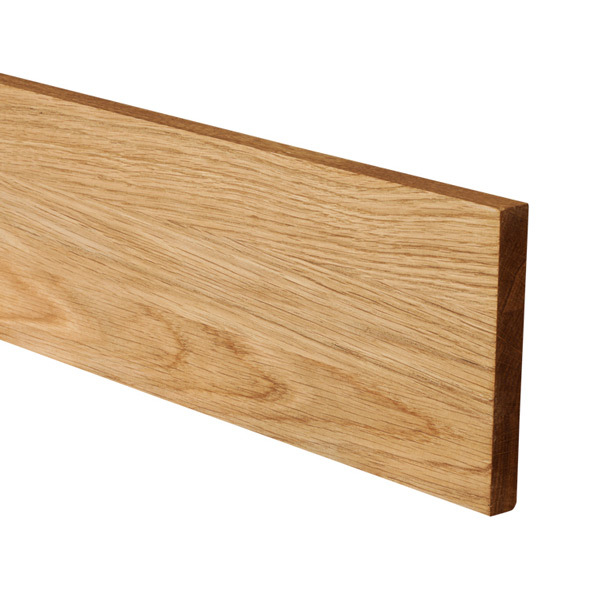 Full stave Prime Oak plinths can also be used in place of upstands, and can be purposed as a variety of other kitchen accessories such as window sills or door surrounds. You can read more about full stave plinths in our Wood Worktop Plinths Nutshell Guide.